There are so many lessons we can learn from nature in everyday life. This is one of them. The following is an excerpt from NNature’s Way: Native Wisdom for Living in Balance with the Earth by Ed McGaa, Eagle Man, pg 32-33. A teepee was behind us, and we saw its reflection in the water in front of us. 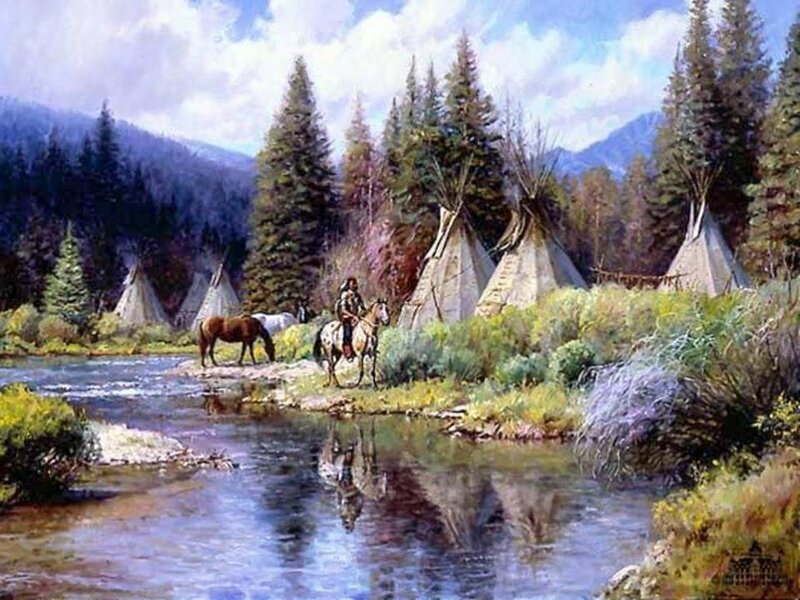 Chief Eagle Feather pointed to the water and exclaimed, “Nephew, now there is a teaching. That teepee reflecting in the water, it is telling us something Almighty wants us to know.” The reflected teepee stood out clearly in the Missouri River backwater before us. “If you go and dive into that water, Nephew, you will not find that teepee.” He would always start out with something that was, like that statement, basically simple and obvious. “ If you walk over there and look in the water, you will see yourself. Now what does that tell you, Nephew?” Knowing that I didn’t know the answer, he continued. will not find it.” He stood up and motioned for me to follow to the water’s edge. When we looked down in the water, we saw both our reflections. I followed him back to the teepee and we sat down in front of it. “All these things are simple, Nephew, yet they are way beyond the wah shi chu.” (He used the Lakota Sioux term for “white men,” but that term can easily be understood as “Dominant Society,” from his perspective.) His look brightened. “You will come to learn that every little thing the Creator makes, no matter how unimportant it seems, has a teaching.